The uneasy alliance between developers and preservationists that successfully gained an increase in FAR for the North Beach Town Center in last month’s election faced its first challenge this week as the new City Commission discussed the path for implementation. FAR or Floor Area Ratio is the maximum allowable size (density) of a building. Commissioner Ricky Arriola, who helped broker the agreement for preservationists to support the increase in FAR in exchange for including the Tatum Waterway and Crespi Boulevard areas in the historic districts proposed for North Shore and Normandy Isle, proposed referring the enabling legislation to the Commission’s Land Use and Development Committee. When his colleague, Commissioner John Alemán suggested sending the proposed ordinance for implementing the FAR as approved by voters directly to the Planning Board and other Town Center zoning items as recommended in the North Beach Master Plan to Land Use, a 45 minute discussion ensued with developers and preservationists on opposite sides. The Town Center area is located between 69th and 72nd Streets from the West side of Collins Avenue to Bonita Drive, an area that has generally deteriorated over the years. Commissioner Kristen Rosen Gonzalez objected to moving the ordinance directly to the Planning Board without stopping in the Land Use Committee first saying the Commission has a process to send issues to Committees first, then back to Commission, then to the Planning Board. 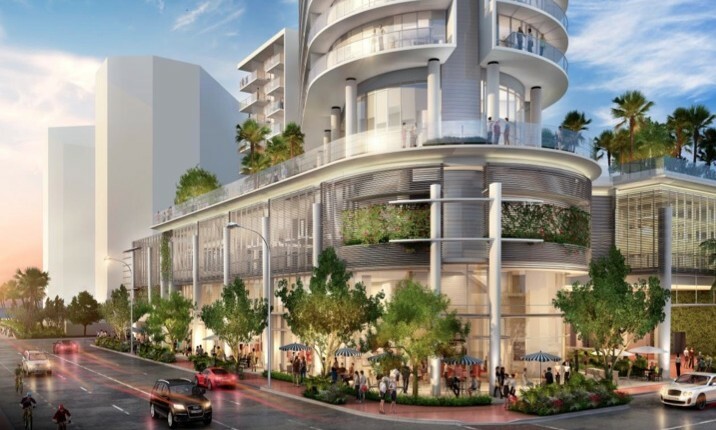 Preservationist Nancy Liebman, who was a member of the North Beach Steering Committee and one of the key players in the compromise with developers said, “We did more than shake hands. We agreed that we were going to support the FAR in exchange for them coming out to support [historic designation].” Now, she said, “We’re trying to get the community together so there’s not going to be another war when all these guidelines start happening. To separate it and rush ahead at the Planning Board I see as something that is not in the best interests of the best plan." Former Mayor Neisen Kasdin who represents the developers of the City National Bank property and the hotel planned for Collins and 73rd in North Beach said, “59% of the people gave a mandate to increase the FAR to 3.5 consistent with the Master Plan without any conditions, restrictions, or limitations. That’s the mandate of the people. That’s the referral. That was the ballot question." He said the recommendations for the historic districts are moving forward and by the time any recommendation came back from the Planning Board on the FAR increase, the historic designations would likely be in place. 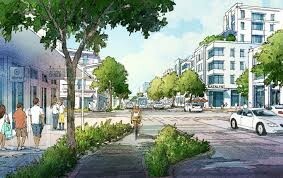 He also noted that the additional recommendations for Town Center included in the Master Plan that will be considered by the Land Use Committee are “all items that would liberalize and incentivize development, not restrict it … They will in no way limit the 3.5 FAR which is standalone." He said there are projects ready to move forward under the new FAR as approved by the voters and calling it "a mandate of the people", he urged the Commission to move it ahead to the Planning Board on its own. “With all due respect, this is precisely the fear that North Beach residents have is that developers will rush in to build buildings that have been roughly sketched out based on the existing provisions of the code without taking into context the overall development of the community which is what the North Beach Master Plan was designed to do, not to cherry pick item by item,” said resident Tanya Bhatt. Alemán said there is already zoning in place for Town Center which is not being modified by the proposed ordinance. It is only adding the increased FAR as approved by voters, she said. The amendment to send the FAR ordinance directly to Planning Board failed 5-2 with Alemán and Arriola being the only votes in favor. The group then voted to send the FAR ordinance and Town Center zoning discussion to the Land Use Committee. Later in the meeting, Commissioners voted on first reading to establish the Local Historic Districts for North Shore and Normandy Isle. It will get its second reading / final vote in January. The Conservation Districts mentioned above were approved on first reading but sent to Land Use for further discussion as requested by Commissioners Góngora and Rosen Gonzalez who wanted more time to better understand them. The Historic Preservation Board (HPB) will consider the designation of the Tatum Waterway and Crespi Boulevard areas at its meeting next week and could have a designation report by March for consideration by the Commission to consider in April or May. In the meantime, demolition moratoriums for both areas were extended.